Think you or a loved one might have an opiate addiction? Well, what are the signs you are addicted? In the United States alone, more than 115 people per day die of an opiate-related overdose. 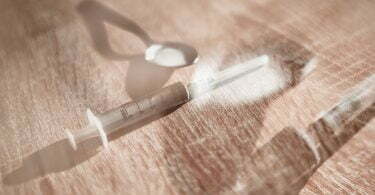 You may be familiar with the most well-known opiate, heroin. But over the last thirty years, the availability of prescription pills like Vicodin and Oxycontin have caused the opiate epidemic to become a serious, country-wide crisis. Because opiates come in many forms, it’s not always obvious when someone is suffering from an addiction. But there are some tell-tale symptoms that will signal a problem. We’ve broken down a guide below to help you look for signs that you’re addicted to opiates. If you or someone you love is addicted to opiates, it’s very likely they will have to increase the amount they’re taking in order to maintain the same effect on the body they once experienced when first taking the drug. Over time, the body will build up a tolerance to the drug and a higher dosage will be required. Many times this is how an overdose occurs. Pay attention to how many pills you or someone you know are consuming. If you see yourself requiring more mediation than your prescription accounts for in order to maintain a baseline high, you may be dealing with an addiction. Needing more means that your body is also likely not experiencing any downtime, off the drug to reset. The more frequently you take the drugs, the faster your tolerance builds up. So, along with taking a higher dose than you’re prescribed, you’ll also notice you are going through your prescription faster than you likely had in the past when you first started and should evaluate your relationship with the drug. Another one of the primary signs you’re addicted to opiates is getting your prescriptions from more than one physician. No reputable doctor will over-prescribe a narcotic and there are steps and protocol he or she must follow in order to determine if you should, in fact, continue on the prescription. For many suffering from addiction, the amount of medication one doctor is willing to prescribe simply won’t suffice. If you find yourself or someone you love seeking the same prescription from different doctors, this is a signal of overuse and possible addiction. It is likely the separate doctors are not communicating with one another and sharing your information. Furthermore, you are likely not indicating to the second doctor that you already have access to this prescription. Lying to a doctor in order to receive more drugs is a very strong sign of dependency on that drug. Another sign of opiate abuse is mood swings. If you are experiencing big amounts of energy, manic happiness, and overexcitement and then find yourself falling hard into a depression, sadness or despondency, this is a sign of drug abuse. Opiates signal to our brain a feeling euphoria and with that comes a calmness and a decrease in anxiety. In other words, opiates directly affect your mood. Because of their powerful effect on our brain chemistry, someone who is addicted to opiates will experience a strong opposite reaction when they are coming off the drug or in need of their next fix. Someone who is addicted to opiates could be in a positive, calm, centered place one minute, and the next, experience extreme agitation, anxiety or overwhelming sadness. Be sure to watch for these extreme mood shifts from either yourself or someone else in your life you might be concerned about. Similarly to the mood swings, you may notice drastic changes in energy level when dealing with an opiate addiction. Someone who is high on an opiate, whether it be a pill or heroin, will experience drowsiness, calmness and overall inability to focus and be attentive. There is a common term referred to when speaking about opiate abuse symptoms called “nodding out”. This is when the user will appear to have fallen asleep, usually while seated and even in the middle of a conversation with another person or when they just seemed relatively alert a moment before. With drug abuse comes poor decision making. The brain is not operating on all cylinders and judgment has been compromised. Along with the chemical effects on the brain, an addict is focused on one thing; the high. This becomes the central focus and main priority, causing other important things in life to take a backseat or be ignored completely. Bad judgment could be anything from falling behind at work to getting into a toxic relationship or finding yourself in financial trouble due to your addiction. Many times with addiction comes increased lying or omissions on the part of the abuser. This is typically done to protect themselves and maintain their habit by any means necessary, oftentimes resulting in bad decision making. Because opiates are a sedative, there will likely be a drastic change in sleeping behavior when someone is abusing the drug. A sign of opiate abuse is the inability to sleep without the help of the drugs and when the drug is taken, longer stretches of sleep and sometimes at strange times. Someone who is suffering from addiction might take a pill in the middle of the day and find themselves asleep in the afternoon or appear to be more tired than they should. Inversely, you may notice that someone who is addicted to opiates is not able to sleep at all without them and relies on them for even a normal nights rest. Opiate addiction can be elusive, especially for those abusing the narcotic in pill form. However, for those who are abusing heroin, the signs are a little more obvious. Someone who is injecting heroin on a regular basis will begin to show physical signs, called track marks, on their body. Watch for these marks on their inner arm, where a doctor would commonly take blood from. But be aware that all the user needs is a good vein and therefore track marks could exist in other parts of the body. Some users inject heroin into their big toe which is a much more discrete area and harder to notice. Having the knowledge that these marks could exist anywhere will help you spot the signs. 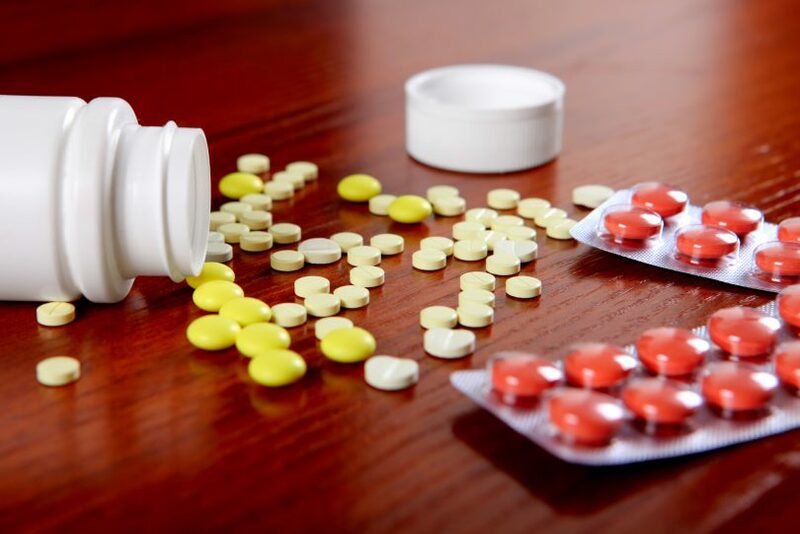 Someone who is seriously addicted to opiates will certainly experience withdrawal symptoms when that drug is no longer available to them, even if it’s for a short time. An addict needs to maintain a high in order to avoid withdrawal symptoms. As soon as the high begins to dissipate, a withdrawal symptom will be noticeable. The most common things to look for are a change in body temperature, sweating, nausea, irritability or even vomiting. 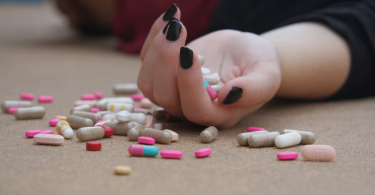 If these symptoms come on and they are quickly quelled as soon as the pill is taken, this is a huge sign that your body can no longer function without the drug and you are dealing with an addiction. Signs You’re Addicted to Opiates; What’s Next? With the guide above, you now know the signals that you’re addicted to opiates. The good news is, there’s always a way out and discovering there’s a problem is the first step in solving it. Check out tips about detoxing off opiates, read up on opiate recovery and as always, consult with a doctor if a serious addiction does exist.